A reader was concerned about these properties and how they are devaluing the area around them. Are maintenance codes enforced? The captions were written by the reader. Recently closed Heartland Printing on IAA drive. Should owner of commercial property be allowed to walk away and leave ugly property. Owner should be required to at least paint the place. Empire & Prairie. 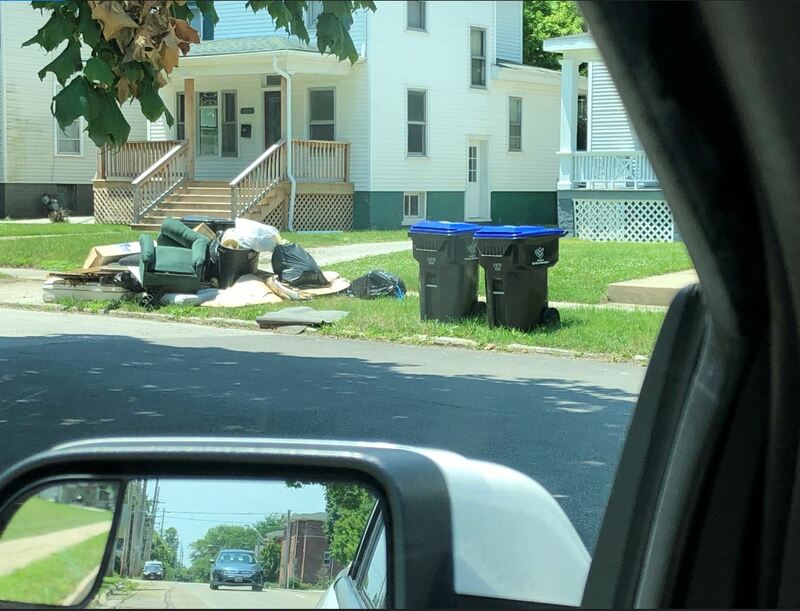 I have several times over the past few years notified Alderperson Buragas about the absentee landlord leaving junk on the curb for extended periods. The city should pick it up or order a private party to pick it up and charge the landlord the cost plus a sizeable fine. Prairie & Locust by taxi cab property. Should be partially shielded. In Buragas’ ward. 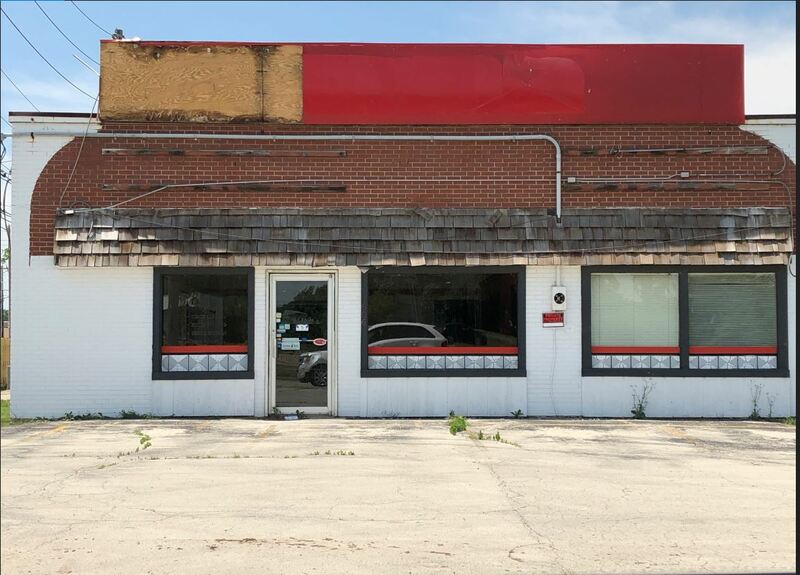 Behind Kilarneys Pub, 521 N. Main St. Alderperson Schmidt should order a paint job for this commercial eyesore. C2 East Bldg. 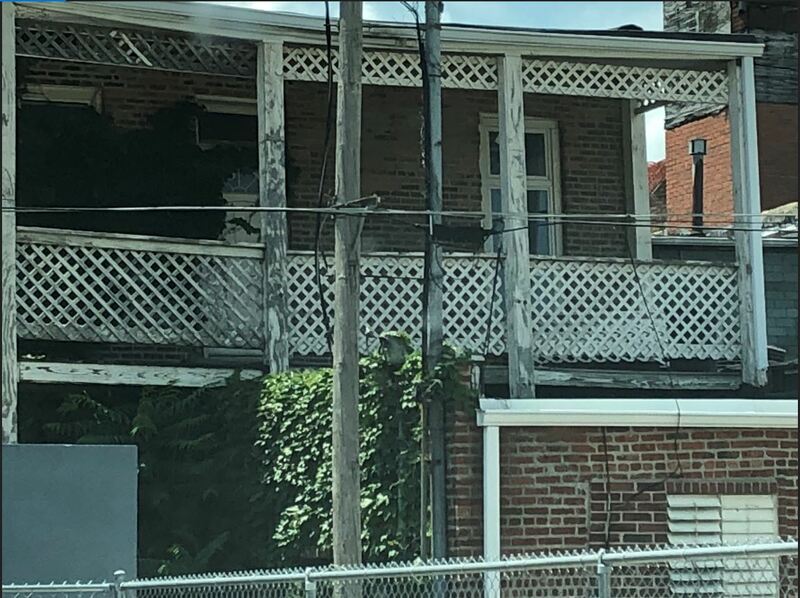 If owner could not or did not want to finish the job, city should have hired a contractor completed the decking and put a lien on the property. This is also in Alderperson Schmidt’s ward. Posted in BloNo, Bloomington, Local, Progressives, Renner, Taxes.Tagged Amelia Buragas, code violations, Karen Schmidt. 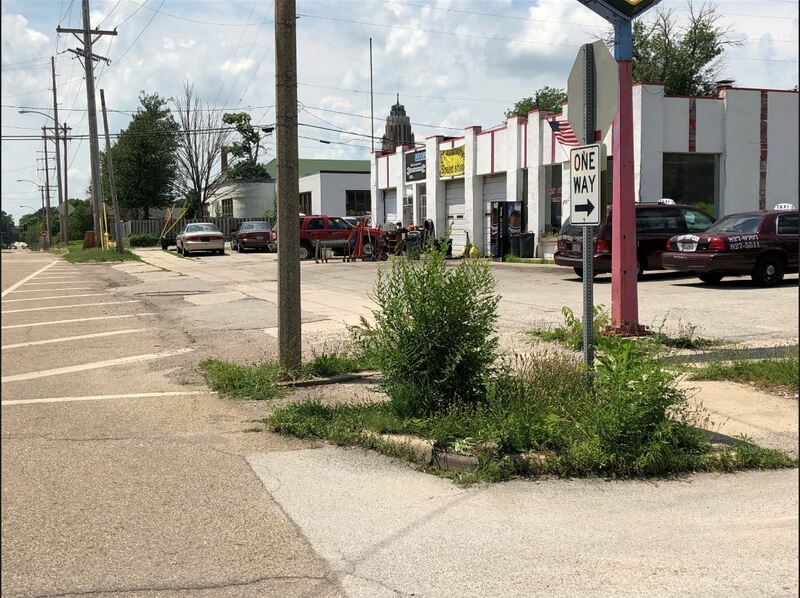 What you see here is just the beginning of what is to come for this area… the new little Detroit on the Prairie… How about the bowling alley right across Veterans from the old Heartland Printing building? That is a Cat D9 special. Can we make the C2 East Building into Tari’s (Terry’s) hotel? How about Jessie’s tire storage on Clinton Street? Wow is that getting out of hand? Hey, Jesse is a REAL good guy, who runs a VERY fair business and is a boon to a LOT of people who can’t afford the insane prices that the fancy schmancy places charge, it is a bit out of control but they neaten it up pretty regular – we need a few more Jesse’s and a few less Tari/Tarry types. True, but thank God all of Bloomington isn’t like Sherwood Lake and Country Club Estates and the like. C’mon Diane, Tari is not going to cite his Downtown pals for code enforcement violations. 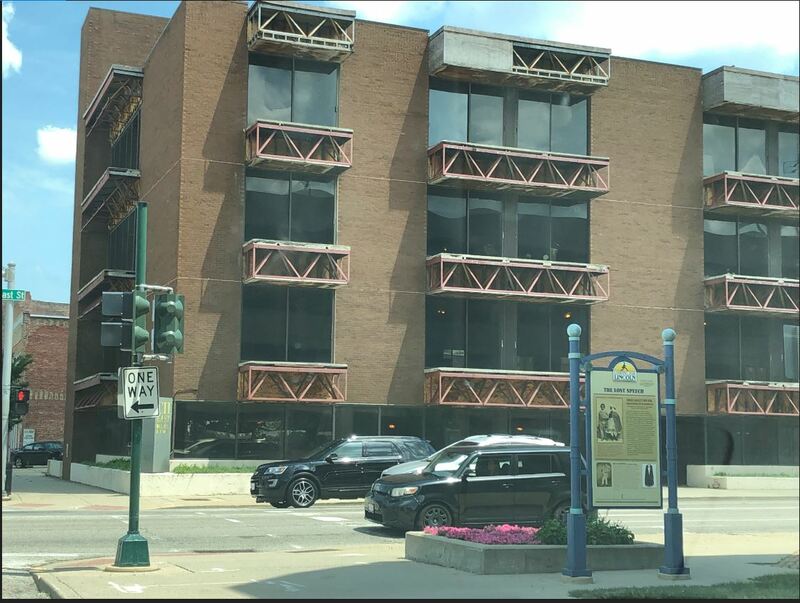 The Front and Slumber Building gets a free pass, as does Mr. Bentley and the C2 East eyesore. By the way, as a landlord with a modest property, I personally shelled out money to remove trash placed on the curb by past tenants. Less than 24 hours mind you. It’s called having class. Am I made about paying the money, yes? But, that’s life. I’m even madder at the landlords that don’t take care of their messes. Gee I thought of one more not so inviting business entities in disrepair: Vitesse cycle shop on linden in normal. It’s NOT just a Bloomington /UPTOWN thing, there’s already been stuff dumped in rural ditches. I note that several miles east of town there WAS a couple easy chairs that were dumped, but the farmer has already cleaned them up, as it seems once ONE thing is dumped, then everyone does it. This was done by a rather expensive home, so maybe they cleaned it up. either way, that small mess is gone, and as for eye sores in the downtown area, there are plenty. This will get worse and worse, some people simply refuse to pay the extra costs and some simply can’t afford the extra costs nor do they have the ways and means to take stuff to the dumping station or landfill on their own – – this is going to result in the way it was many years ago when people were dumping stuff into the creeks out in the country as well and all along the more remote country roads – as usual “progressive” government makes cuts in all of the wrong places creating more of a mess, that’s what they do really, just make messes, like little children and unruly dogs. Next Post Update: 2nd Amendment: Where’s McLean County?